I still can't decide what to do about Eleanor's looming birthday. Ideally I'd like to keep it small, limiting it to her best friends. This will make is possible to do some special favours. 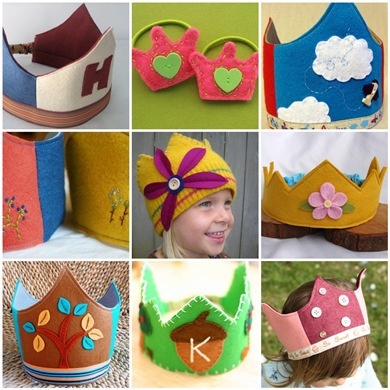 Felt crowns! Wouldn't it be so special to have a personalized one? Given Eleanor's current Ballet obsession (we just started lessons), this would be her idea of heaven. But what about boy invitees? I'm just dying to make some more pom poms too! 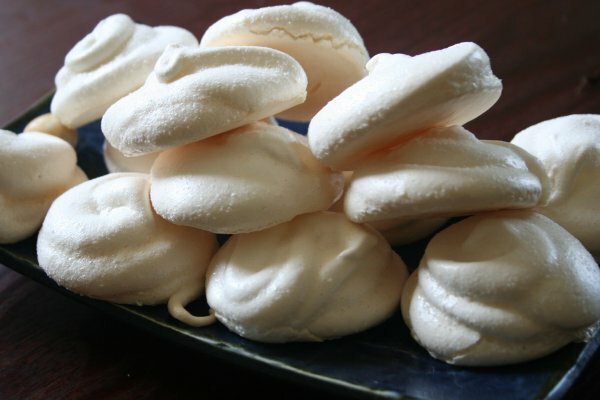 I also adore the look of white meringues. This is a must. My next, more boy-friendly idea is to have a 'cafe' style party. In Australia, it's standard to serve "babyccinos" at cafes. It's a demi-tasse of steamed milk froth with some chocolate powder on top. It looks just like a grown up one. I thought it might be cute to serve them and then give the cups as favours. We could then serve lunch - finger sandwiches etc and have a cafe theme.